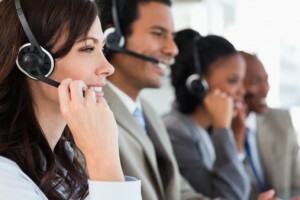 Can Call Center Outsourcing Help Your Business Grow? How Can Call Center Outsourcing Help Your Business Grow? For businesses that are expanding and don’t have the staff or the time to take care of all the incoming calls, call center outsourcing is both a popular and effective way to assist your customers. Taking time out of your day to answer the phone can keep you from completing other important tasks. Meeting the higher demands of a growing business can bring many challenges such as the need for extra space and more equipment. Using a call center is a great way to free up time and save money by taking away the burden of answering calls. People still love being able to talk to a live representative. The personal experience that comes from being able to ask questions about a product or order is what makes many people choose to order over the phone. Perhaps you’re beginning a call-to-order campaign using TV commercials and want to make sure you don’t lose customers to a busy signal. Choosing to outsource your call center needs is a great way to ensure you are keeping your customers happy and well-attended. Maintaining a successful call center campaign can be a vital part of your sales. Even though numerous products and services are available online, some people prefer ordering over the phone, especially if they have questions. Call center telemarketers are trained in sales and often have incentive programs that motivate the representatives. Hiring a third party call center to handle your call overflow can give you the assurance that each call is being received and properly managed – thus leading to more sales. Making sure you choose the right call center to handle your customer calls can make the difference between success and failure. The call center company you hire should train their telemarketers how to handle your specific inbound or outbound calls. Many third party call centers can even assist you in creating a telephone script that focuses on closing the sale. Call center outsourcing is an effective way to provide great customer service to those ordering your products without the hassle. At J.M. Field Marketing we provide call center outsourcing to our clients because we want you to get back to doing what you do best.